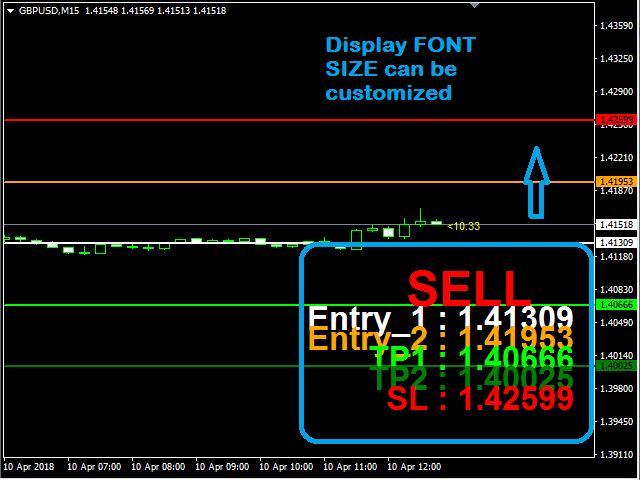 A standalone system, that can be used for any timeframe and currency/instrument. 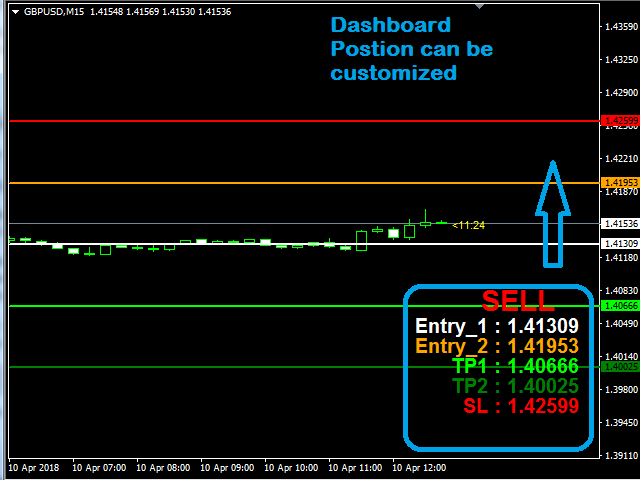 Indicator with Entries and Target, Stop Loss Levels based on various higher timeframe and price action based levels. 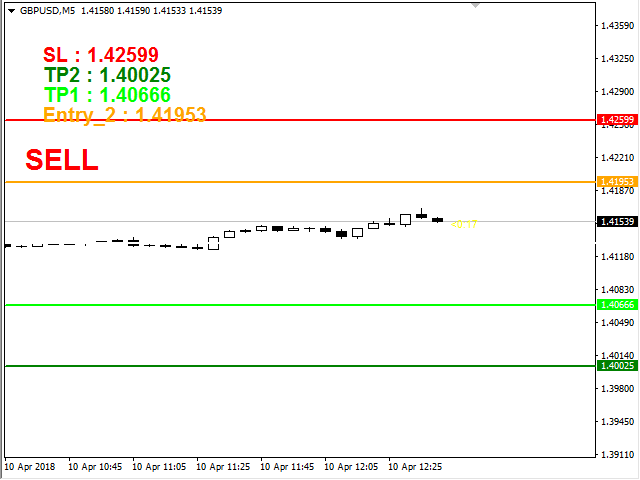 The 1st Entry Line, 2nd Entry Line, Target Lines and Stop Loss Lines are drawn or changed when there is a trend reversal. They are robust levels so they do not change very often. The 2nd Entry Level is for taking the safe entries on that level or for increasing the quantity at that level so that the average price of the trade becomes more favorable. 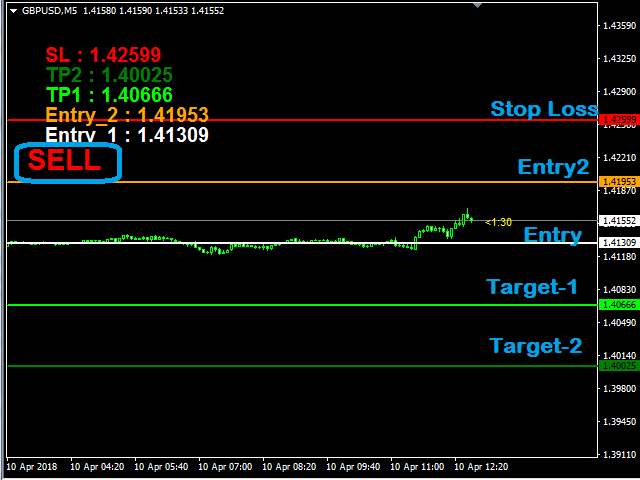 Multiple Targets can be used for exiting trades partially or fully. The RISK REWARD RATIO - with the 1st entry is approximately 1:1 and with the 2nd Entry, it is approximately 1:2. Font_Size = 15 - sets font size of the text display of dashboard. Corner = 0 - default "0" sets dashboard position to left top corner. Customize position by using 0,1,2,3. 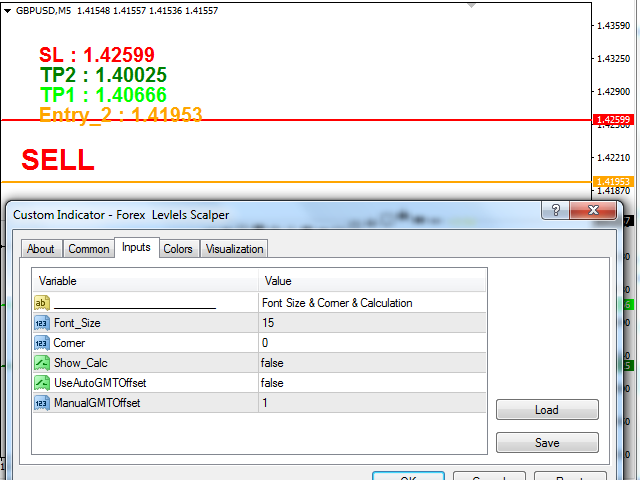 Show_Calc = false - enables display of some statistics of levels calculation. UseAutoGMTOffset = false/true, will calculate the levels based on auto GMT offset, but also can cause fluctuating levels. ManualGMTOffset = 1 - input the time offset of zone.